Here is a new arrival … The little brother of the Lambert Lebegue ! These apartments are in the same building, ideal for hosting your family. Composed of a bedroom and a large living room, the Lambert Lebegue 1 can accommodate 4 people and the Lambert Lebegue 3, 2 people. Perfect for traveling and walking! “Monthly morning meetings for compulsive creators”! 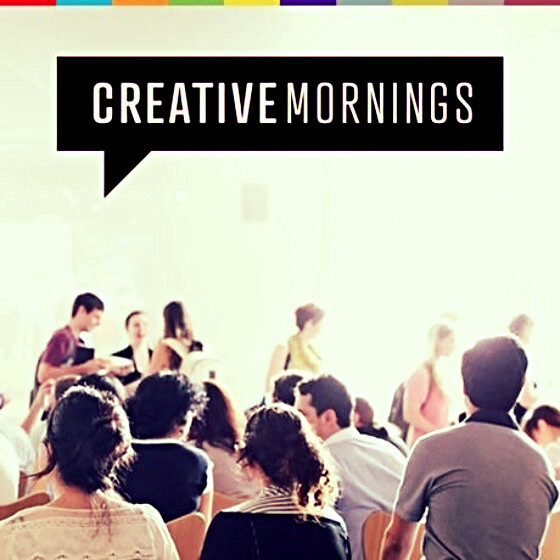 CreativeMornings are meetings organised free of charge by cities (or other large towns). The overall concept is ideal for those seeking to awaken the spirit in the hope that the body may follow suit. We go regularly, before heading out to work, to find out new things, meeting enthusiasts in a café to fill our minds with ideas to be shared on our Facebook page, website or in our newsletters. For Liège, click here, and for Brussels click there! Pont des Arches 1 and 2: Two newcomers in Liège ! The Pont des Arches 1, located on the ground floor, is decorated in a contemporary style. Its easy access by car from the platforms connected to the various highways as well as its location on a dock in the city center will seduce you. The Pont des Arches 2 located in the same building, on the 6th floor will charm you with its beautiful terrace. This terrace will offer you a magnificent panoramic view over the Meuse. So go ahead and discover these two neighboring apartments on the docks!